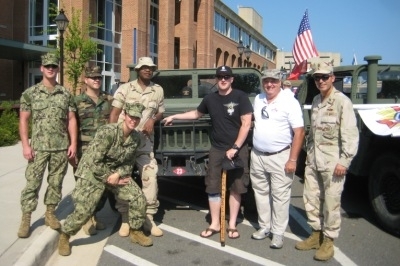 On July 4th, the City of Fairfax opened its doors to the wounded warriors and veterans alike this year. 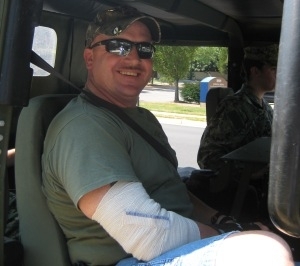 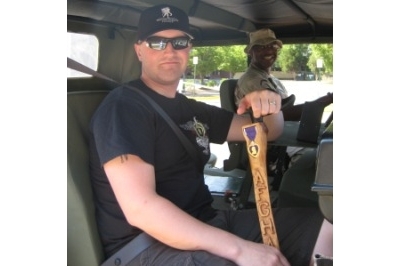 Project Enduring Pride (PEP) coordinated and arranged for wounded warriors and amputees to come over from Walter Reed-Bethesda and the immediate city area to celebrate the role of veterans in the society. 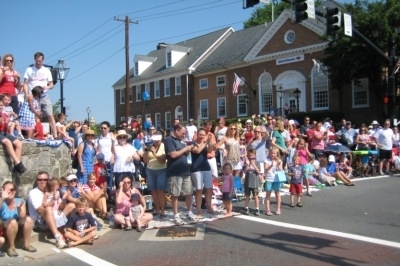 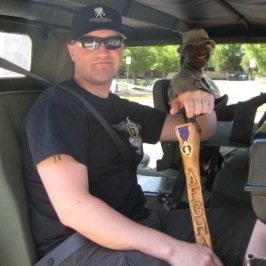 The town began with a parade through the city, PEP, coordinated for military vehicles of the type used in the Iraq were tasked to carry the some 40 vets and WW during the parade. 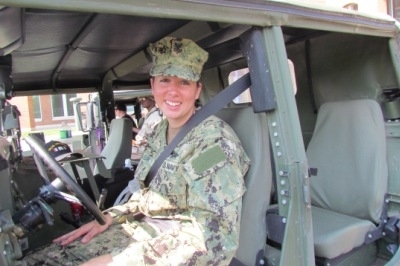 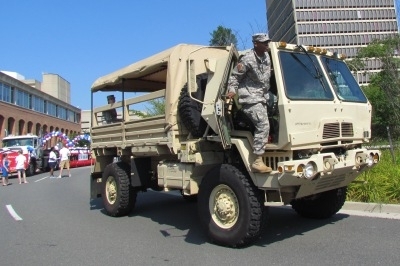 Trucks and drivers were from the 23rd Seabee Battalion at Fort Belvoir and the 216th Support Battalion also at Fort Belvoir. 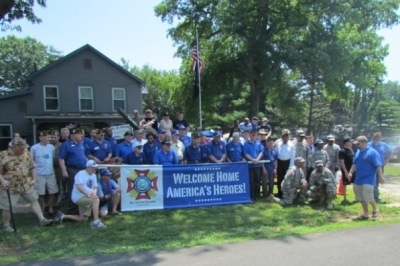 Following the parade, the wounded warriors and reserve component service members continued the day’s celebration at Fairfax Station VFW 8469 home with a huge barbeque. 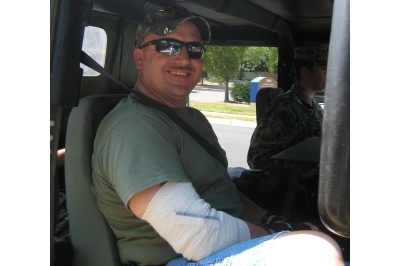 PEP volunteers joined with the WW and other veterans in some great ribs, chicken and of course hamburgers and hotdogs. 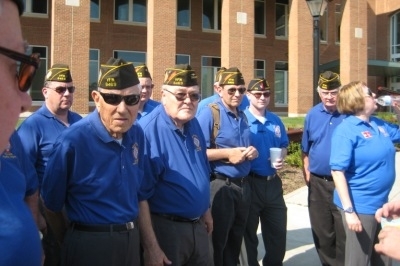 PEP donated a seven burner barbecue unit to the VFW Post to help with “the essential elements of good cooking”. 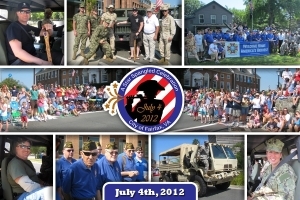 The day concluded with group pictures and a promise to rejoin the activities next July.